Is it all about the money? – Paul Weald talks us through what he thinks works when it comes to contact centre incentives. Many years ago, a former boss of mine, who was a commercial manager, told me that you condition people by how you pay them. He had a simple philosophy regarding incentives schemes – for him it was “all about the money”. Some 10 years later, and with many call centre projects now under my belt, I would beg to differ. For me, incentives schemes that work are a combination of reward, recognition and real-time feedback. And finally, real-time feedback provides information to agents and teams so that they know how they are performing and what good things will happen to them if they raise their game – right here, right now! So for an incentive scheme to be successful it needs to address all three factors. Let’s look at some real-life examples. In a sales environment, how do you ensure that the right behaviours are reinforced? It is about having some “stick” as well as “carrot”. For example, be prepared to withdraw the incentive scheme payments from those that don’t achieve the minimum standards you expect. How do you ensure that the right behaviours are reinforced? It is about having some “stick” as well as “carrot”. In the run-up to Christmas, one of our retail clients wanted to maximise the efficiency of their call centre at the same time as incentivising agents to sell. Good agents could earn an extra £2 per hour through individual orders taken, but only if they achieved threshold targets for availability and schedule adherence. The scheme ran cumulatively for a month and each day the ‘scores’ for each agent were produced. The whole bonus would be paid at the end of the month, but only if the agent achieved their cumulative thresholds. The results for the centre were astonishing. Not Ready time was halved, sickness was negligible and orders per hour were up across the board, and most agents had a nice Christmas as a result! Commission payments worked well in this situation as the money had meaning because of the time of year, but how do you sustain this type of performance uplift across an entire period? Think of alternatives to just paying cash. There are many incentives and motivation companies that administer different types of scheme where your agents earn ‘points’ which then qualify them for prizes. Remember that your agents have different motivations for wanting to work – for some younger members of the team it might be about having the latest technical gizmo – iPods and Xboxes, etc. For other members that run a house and raise a family then the ability to use the scheme as gift vouchers for certain stores or even a discount off the weekly shopping bill could be important. One of our clients has just passed all of their commission budget over to an incentives company and hopes to see a 10% uplift in performance as a result. One company, ComXo, is running a scheme that is all about the recognition of staff. 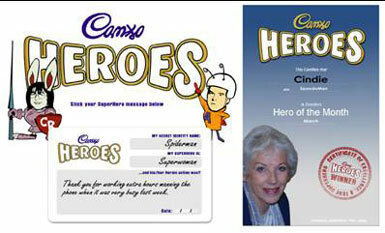 Borrowing from the Cadbury’s Heroes theme, they have branded a ‘Thank You’ board. Each month anyone in the company can post on it a personal thank you to another member of staff – the nomination can be for anything, however large or small. At the end of the month a winner is drawn from those people nominated throughout the month. All winners are displayed on the wall next to the board in the rest room, and – yes, you guessed it – they win a box of Cadbury’s Heroes. To make this more fun, all agents have a superhero alias and all nominations are delivered under these aliases. To get everyone’s involvement they even had a charity dress-down day – or more to the point, dress-up day – all wearing their superhero costumes! Sometimes it is the simple ideas that are the most effective. One sales team manager I know has young kids and saw the enjoyment that they got at a party playing ‘pass the parcel’. So the following week she introduced the scheme into the call centre! The idea was that every time an order was taken, a layer of the parcel could be unwrapped by that specific agent. The incentive aspect was that the parcel was only available for one hour. No one knew how many layers there were: would enough sales be made in that period to get to the prize? It worked brilliantly at energising the whole sales team! One company that we know well is Gem, a leading outsourced service provider based in Belfast. They have focused their incentive programmes on making sure that agents know exactly what their performance is. They have produced highly creative real-time wallboard displays and their requirement is to analyse key targets by contract and to create innovative and visual media that drives motivation on the floor. The wallboard application displays real-time data and telephony statistics that allow the manager to performance manage without having to constantly browse through various reports to check agent status, lead totals or KPIs. The development approach they use is very much bottom up – getting agent buy-in through involvement in the design stage as much as possible. Focus groups are used to develop ideas – this is a great way to work because when the final product is rolled out, everyone involved feels proud of what has been achieved. 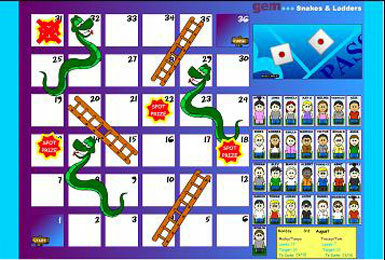 One example is a game of ‘snakes and ladders‘. The game is used for an appointment-making project. Each time the agent makes a lead, they can roll an electronic dice and move themselves around the board. The wallboard displays mini characters of all the agents. The goal is to reach the finish line and receive a prize. This incentive creates a great sense of interactivity, motivation and participation; all the ingredients that make incentives schemes work. For further advice on what to use your contact centre wallboards for, read our article: What Information Should You Be Displaying on Your Contact Centre Wallboards? I have implemented dozens of incentive schemes in sales contact centre environments over the years. 1. Make sure you have clear objectives in place for the scheme and share them with CSRs before putting the scheme together. 3. Base the reward on conversions as opposed to volume of sales. 5. Ideally, include schedule adherence in the scheme. 6. Finally, and often most controversially, try to incorporate average performance as the benchmark for the targets. Hav a read of this article for ways to Use Contact Centre Incentives to Improve Performance. In most call centres, there are elements that affect sales conversion that are beyond the CSR’s control. However, the average conversion rate is the best indication of where performance sits. As long as the base level for qualifying for incentives is slightly lower than the average, you will always keep their interest and motivation to improve. By following these basic rules I find that I’m always on the right lines and significantly improve the chances of a very successful incentive scheme. I think that incentives are one of the most important parts of motivation. The incentives do have to be particularly structured. One company that I worked for gave a budget to managers of £200 per employee each year. This could be used as a thank you to individual team members. If a member of the team did well it could be used to buy a small gift of a bottle of champagne or some nice chocolates. One of the best received rewards was a meal for two for the team member and their partner. It was actually quite hard to spend £200 per employee, but it did result in a culture of people saying thank you and rewarding hard work. This in turn helped to stimulate rapid growth in the company and was much more effective than the bonus scheme (which was largely seen as an extension of salary). Reward, recognition and real-time are the absolute keys to self-motivated advisors. And when you can achieve self-motivation, the results are amazing! When reward is some distant hope at the end of a month or year – and only if all the company numbers stack up – it is no motivation at all. When reward has some element of subjective judgement by managers, it turns off more agents than it motivates. When an agent can see an objective report every minute of the day on precisely how they are performing – and be rewarded for that performance – watch outputs and productivity go off the scale. When contact centre demand is at its peak, attendance, productivity and morale are vital, so offering specialised incentives during this time can be helpful in dealing with long queues. To give an example of boosting attendance, we incentivised it over our peak Easter bank holiday period and money talked! It worked under the slogan: “work all four and earn some more” and it was used as a bonus: if an agent worked a minimum of x hours over each of the four days and had full attendance for the two-week period, which included Easter. In my contact centre, we have the usual problems… keeping staff focused, on target and, well, keeping them in general. A lot of “incentives” we have tried have failed, but there are definitely ones that work (some have been mentioned previously). Pass the Parcel – Make a lead, take a piece of wrapping off. Works great! Keeps an aura of excitement on the floor. Sweep Stake – £2 stakes are placed on the number of leads made at the start of the shift. Whoever bet the closest wins all the bets plus a £10 bonus from the manager. Leads that day are kept secret to avoid anyone “getting lazy” when it’s close to their stake. Pointable – Run over two weeks, every lead gets a point (or for every piece of good feedback in a service environment), with bonus points for any sales made those weeks. Points can then be traded for prizes and more points equate to a prize of greater value. Pointable also goes towards a team night out. Advisors with enough points over three months are invited on a team night out (everyone’s welcome), but only winners get in on the free kitty – usually £100.00 drinks on a night out. What are your experiences of motivation schemes? Have you seen anything that works? Incentive scheme really works when we wish to generate quality leads in our process. Process awareness is the basic concept of success to implement good incentive scheme. Best incentive scheme can reduce the extra cost of head count as you can get maximum output from resource available with you in very short period or in target base project. My agents take 0-12 calls per 7.5hr shift, and as such AHT, CPH, Wrap etc aren’t an issue, so none of the usual models translate well in my case. I would welcome comments from anyone out there who has effectively incentivised performance in a low volume environment. Just a couple of words from me as author of the article…. these contributions are all excellent examples of not only incentive schemes that work but also the reasons why they worked – because they all meant something tangible to the recipients. Regarding the enquiry about incentives in a low volume environment, then think about the measures that have most relevance in your situation. As others have said is it about supporting the call outcome – whether that is sales opportunity converted, quality score for the call or Customer Satisfaction Rating? Regarding the comments from Dan Cuthbert on April 3rd 2008. It is fantastic to hear from someone who values the opinions of the CSRs before implementing change in the workplace. All too often, changes are made without CSRs full understanding of why and how, and without the most important people(CSRs) having their say too. My company had a half day of fun booked for over 100 agents, which unfortunately had to be cancelled at short notice. When the head of the department told everyone, there was not only no moaning, but a couple of cheers. When he then told everyone they could take a half days holiday instead, there was a huge cheer. At the end of the day, the business saved a lot of money and the agents were happy – Its not always about money. Can any one advise if they have any experience of using incentives to reduce sickness. Money is not an option so I wondered if rewarding staff for good attednance with additonal days off (1 per six months free from absence) would be viable. I am currently working on the financial impact of this and wondered if anyone had applied a similar system and if there was a marked improvement in attednace? I think that incentives are a great way to motivate staff. I manage an accounts receivable call centre and we have a weekly games which are based on getting customers to pay their accounts. We find that it work well when we play with individuals but even better when we are breaking the group into sub teams as a lot of people who are not motivated to perform themselves do not want others to be affected by their lack of effort. We have got high sick leave due to the type of work we do has anyone found useful incentives to combat sick leave? RE: Question on Sick Leave. Prepare for staffing needs. Turnover is a problem in call centers. Work with your colleagues on their career development in order to keep them, but be prepared to hire when needed. Ask your management for extra training. It will help you and importantly the longevity of staff within the company. Concentrate on keeping your colleagues happy. Always treat them with respect and listen to their ideas. Happy people don’t take unnecessary sick leave. having over 20yrs in the call centre industry, I’m currenlty involved in a union enviorment and would like to implement an incentive program for perfect attendance? does anyone have advise on what elements to focus on or stay away from. In our centre we have Quarterly, and Annual Awards evenings. We supply CSR’s with dinner and drinks, and reward the Best Performing CSR and Best Performing Rookie with prizes. These are awarded based on FCR, Adherance to Schedule, Sales and Upselling, Customer Commendations, AHT and connect rates (% of leads converted). We also reward CSR’s with $100 bonus for 100% Attendance. These awards evenings are not just about prizes, but about recognition and it gives the CSR’s a chance to socialise away from the call centre, and we give back to them by paying for the dinner and drinks. Everyone looks forward to these nights, and it encourages a great atmosphere that makes them feel like staying to be a part of it. Does any one have any ideas how to motivate agents that do not work in sales environment? My contact Centre speciliazes in service delivery. What about if there is no budget for incentives, we are currently reviewing our daily incentive scheme for a collections call centre. We tried time off but cannot do this anymore due to reduced headcount, does anyone else have any comments or have the same problems? Hmm… I’m not so sure about this. While I agree that non-monetary incentives are necessary to keep a sales team happy, I must say that money IS the number one most important factor that a good salesman will look at. Yes, you can praise a salesman (or saleswoman) for their good work, but ultimately, if they’re good at what they do they will be tempted away from your company by those willing to pay them more. If that payment comes in the form of real commissions, you may be kicking yourself for all the “pats on the back” you delivered instead. Then again, calculating commissions can be a real hassle – especially if your commission scheme is at all complicated, or if you have a large sales team. I’ve found that automation software really helps lighten a finance team’s work load… and lets them get back to work on stuff that really matters. The South African Mining Incentives (Production Bonuses) have created a “Cash for Production” culture that will not easily be exchanged for any other kind of Incentive e.g. vouchers, points ect. The “Real-time” concept however will definitly possitively impact the team performance and create a sense of immediate appreaciation/reward for effort as it is applied. Lower basic payment, supplemented by a possible higher bonus earning might be the biggest contributor to employees sacrificing important factors such as safety for increased production. Maybe we should focus on providing in the basic needs of employees (housing/transport) and perhaps subsidize employees on basic foods such as bread, milk, meat and vegetables. Bonuses will then be for the “nice to have’s” and not for “survival”. In my previous company, a major issue with my team was their sickness and lateness. I got an idea on how to reduce this via the internet (can’t exactly remember the website, as it was a good few years back). Unfortunately though, it involves cash. We basically played a game of poker. On each day that an agent turns up to work on time, he/she is allowed to draw a card from the deck. The chosen card is displayed on the board beside his/her name. At the end of each week (5 working days), the agent with the best hand wins the pot of cash. Contribution of the case was 50-50 between myself and the rest of the agents. I contributed 50% of the pot from my own pocket, while the team shared the remaining half. Since it involved their own money, I had to get their written consent in order to kick it off. Of course, if an agent does go on a sick leave or turns up late, he/she is basically disqualified from the week. I had also introduced a very useful condition to claim the prize money: although we have a weekly winner, the winner will only be paid at the end of the month AND must have perfect attendance record for the entire month. – Displaying the cards and results on the notice board had everyone talking, where at the same time, my team’s individual attendance record is on public display. People would know who had been on sick leaves or late very often. Not sure if alot would agree with this method, however it worked for me. Love the comments on this site – have tried variations of most of these bonus methods over the years in a sales environment. But, does anyone have any ideas for schemes which fairly bonus telephone staff who take service and sales calls? Bonus for telephone staff in sales & service centers – Do you have clear and fair key performance indicators and metrics? If not, that is the 1st step. If you do, then my suggestion is to pick the top 3, and build a bonus plan based on those. Other suggestion is to have monthly bonus contests that focus on 1 kpi/metric for the month. That seems to be the most effective for us because it wards performance for a wider range of skill-sets and capabilities. Have a look at my post on the below, might be some ideas in there? Realise, Recognise, Reward is an approach we take that enables an organisation to identify, measure and reward individual and team achievement within a robust and auditable framework. Our proven Incentive system motivates employees to improve, and shows them the benefit link between achievement, performance improvement and reward. For Management, the framework allows the targeting of specific behaviours and performance, with fully tangible and measurable results. By utilising a mix of creative, technology and team leadership motivation you will be leaps ahead to creating the right enviroment for your staff. I used more words to motivate my agents. I let them know how much I care about them and their lives outside the work environment. Many times, I go out of my way to give them some financial rewards. This might not be convenient atimes but I discovered that people appreciate their work more when you let them know they are appreciated, if you correct them in love and encourage them in choosing career that will see them move to the next level. Incentives are wonderful if combined with words of appreciation for jobs well done. Do not give incentives at the expense of the right words for your staff if you want to enjoy the best they have got in them. Recognition is the most important of all. Employees may need the cash but nothing is better than feeling good at work. A fun game is to give people one card from a pack every day and play poker with the hands on Friday. Can reduce absenteeism, or at least incentivise attendance, if it becomes popular. Many of the comments here emphasise the greater need for recognition than just reward, although a combination of both goes a long way to increasing agent motivation. The issues for most is that Incentive schemes take up precious management time as most schemes are manual and also require the purchase of suitable rewards. At Incentivise we take a Realise, Recognise, Reward approach. Once an opportunity for achievement has been identified our systems can be rapidly and easily deployed as a stand alone or integrated to accept sales data from internal systems removing the manual process and reducing management time spend. Points based Recognition can be determined automatically by pre-set rules that convert achievement into reward. We also believe that team leaders and managers should retain the ability to make ad-hoc rewards to those who they wish to recognise for other reasons. Having a system that is fully auditable, linked to a campaign budget is important. This means all campaign inputs can be fully accounted for and traced to the individual agents with information on how the reward was achieved. When the agent has earned enough points they can spend these in your dedicated and branded reward shop. These can be specific to team, location etc. 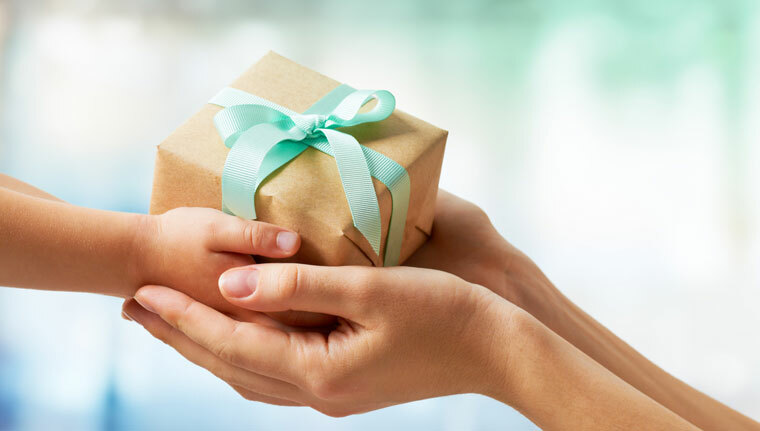 Having a whole host of rewards on offer as part of a reward catalogue helps to engage and appeal to the mass, these can include items like, experience days, vouchers, flexi-time, days off, cash, pamper days, wine, flowers. I have recently been placed in a position whereby I must manage a number of sites where the company has contract work the scope of work on all these sites differ and I now sit with the very difficult task of creating a universal bonus sceme that is fair to both the employee and the employer all the sites are in the mining industry.It needs to be a very simple bonus model for everyone to understand and one that is measurable on a daily base.Is there ayone out there with an idea.Thanks. Cash incentives like most tools in business thought of as ‘traditional’ or ‘fundamental’ seem to be losing their effectivness. I think it’s vital for businesses to look beyond the stagnated belief that money is the be all and end all. Let’s not forget that for decades now business researchers have been emphasising the importance of other factors to motivation. It’s easy to quote Maslow’s hierachy of need’s but it really does highlight the more humanistic needs employers have. Recent evidence in particular has definitively shown us that trust is probably the most important factor for teams to work as a cohesive team, rather than a set of individuals in the same environment. I think real time information is a great tool for everyday use but how about a rewarding day out for everyone? After all teams need collective rewards otherwise resent and hostility can become rife. Awesome article on incentives.Thanks for sharing. I offered 3 members of my team a commission of 25% of any sales they generated. I spent a lot of time and effort setting the schemes up, getting business cards printed, etc. One went at it hammer and tongs, got loads of sales and made some good money. the other two did absolutely nothing. I think it shows thats incentives work for some biut not for others. I think incentives are a great way to encourage employees to aim for a target if they realise they are going to get rewarded for it. It is also good for clients if they give referrals to your company or for continued loyalty. any ideas for a mayday incentive? You can achieve amazing results, if you get your incentive right. But, its not just about having a good incentive, you need to analyse stats on a daily basis, as well as publish results on a daily basis to maintain the focus and momentum with your staff, do not be afraid of tweaking the targets or incentives until you get the right results, in fact I would go so far to say that it’s essential that you do this! Here’s the scenario, need to bring attendance up for an inbound call center that is not sales, little and/or no monetary funds are available. Extra break time is not an option because company and clients are billed for breaks and are only willing to pay for time spent taking calls, (hours worked). Extra lunch time cut’s into CSR wages as lunch is not paid because it is not hours worked. Any ideas? I’m a TL in an inbound non sales call center, we focus on quality. Any ideas for fun incentives, not very artistic myself to do the visual stuff though!! Can anyone tell me where i can get hold of the snakes and ladders incentive ? What works for some employees, won’t work for all. Some otherwise wonderful employees will react cynically to any attempt to motivate via games and ‘systems’. Getting ‘buy in’ from these employees is crucial to overall success, so involving them in the decision making can make all the difference. I just started a new campaign and would like ways that i can motivate them without involving cash. Can someone help me with ideas. I like the idea of snakes and ladders. I’ll suggest that. Particularly when the board could be displayed on the overhead screens. Our MD has a fast super car (I don’t know what it is, I’m not a car boff), and we had an incentive to drive the car. This didn’t cost anything. I work in an inbound contact centre where we take calls, chats and Emails. I’ve been given a challenge to bring up the quality of Emails we send out. It’s become something both leadership hate to enforce and agents hate to complete. I was thinking of having a sort of buddy system where I place the higher quality performers with the lower ones but have no idea of how to make this an incentive that won’t just last for a week or a month. Hi, Great article and ideas. Just wondering what software Gem in Belfast used to display the real time snakes and ladders?